MOTIVATED SELLERS!! $25, 000 BELOW APPRAISAL VALUE!! 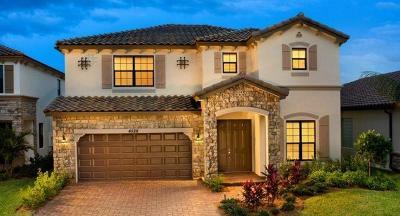 Open the doors to this stunning Mulberry model featuring 4 bedrooms, 3.5 baths, loft, & 2-car garage. A spacious living room & dining area greet you at the entrance and open up to a remarkably designed chef's kitchen w/ upgraded soft close modern cabinets, stainless steel appliances including smart refrigerator, quartz counters and a beautiful mosaic tile backsplash. This home is light and bright with lots of windows and dramatic 9-foot ceilings throughout! An expansive family room leads to the 1st floor master suite with two walk-in closets, private entrance to the Master Bath, featuring Roman tub, glass-enclosed shower, ceramic tile and double bowl sinks. Upstairs is an open versatile flex space, 3 bedrooms, two baths & laundry room.